Few games have had as turbulent a lead-in to release as Mass Effect: Andromeda has. 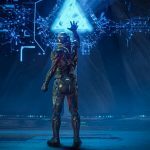 Five years in the making and coming after an acclaimed and much-loved trilogy, Andromeda went from one of the most hyped games of the year to one of the most lambasted overnight. Is the ridicule and coverage justified? If you’re basing the game on the initial 10 hours — as were offered in the EA and Origin Access trials — then yes, because Andromeda’s opening is a hot mess of graphical imperfections, bad dialogue, and trivial tutorial missions. Throw in a UI system that you’ll be in constant battle with, and it’s easy to see why Andromeda has gone through what it’s gone through over the past few days. The good news is that Andromeda gets progressively better, even if it’s consistently held back by some questionable design decisions. It’s a standalone entry, so the pressure is on to not just continue the Mass Effect legacy, but also to redefine it. That’s a challenging balancing act. Andromeda does it really well in some parts, but not so well in others. Safe to say that EA’s decision to offer a game like this as a trial was a big mistake, and I do genuinely believe it’s cost sales, such is the poor quality of the experience in those opening hours. 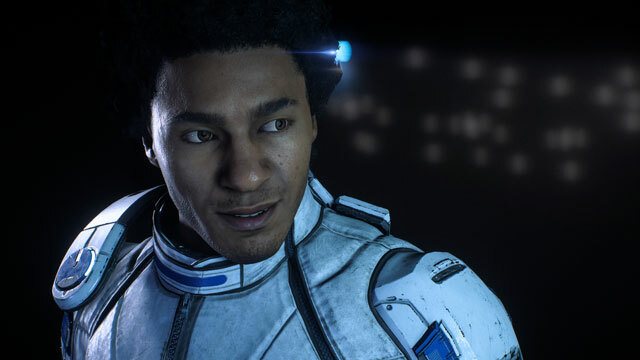 I’m going to try and get you back on the Andromeda Initiative bandwagon, though, because the experience expands and excels at light speed beyond those first ten hours. That shouldn’t come as a surprise. 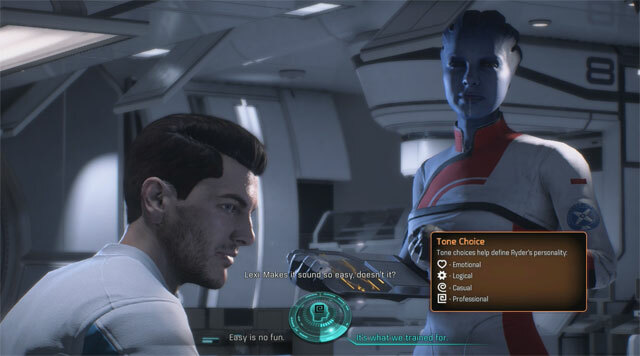 Mass Effect games — and certainly Bioware games more broadly — are supposed to be intimidatingly deep and brimming with content, side quests, and hidden messages. Andromeda is no exception to the rule. Importantly, relationship building remains a key component of the Mass Effect experience with Andromeda. The original trilogy offered a structured approach to relationship building, which relied up a general consensus of hostility and caution, such was the nature of the universe in those games. Andromeda is a little different. Its characters bounce between unbridled hope and cautious optimism, and rarely the downright fear or regret I felt were common traits in that original trilogy. You would think that the optimism comes with having spent 600 years travelling to a new galaxy. As expected, things quickly turn sour in the game’s opening hours — as you would know if you played the trial — and while that overall introductory experience is a tough grind, the good thing is that it feels like an empowering and upbeat environment for the characters, even if they do face such a potentially dire future. The welcomed approach to exploration and navigation goes hand-in-hand with the natural way you establish dialogue and relationships with different characters — as one would hope — but I certainly found the characters to be less hostile and defensive than the original games, and more open to discourse and debate. I think this sets Andromeda galaxies apart from the natural tone of the original three games. The key figure in all of this is Ryder, be it Sara or Scott. You’ll have the opportunity to decide which of the two you’ll take into battle. Disappointingly, I feel this area was somewhat of a missed opportunity. There are subtle attempts to make genuine connections between the two siblings throughout the game, but I never really cared about the future of them. That is completely at odds with how key characters are introduced and established in Mass Effect games. The way in which your Ryder becomes the pathfinder is also disappointing, helping epitomise Andromeda’s infamously shallow and unbalanced opening hours. 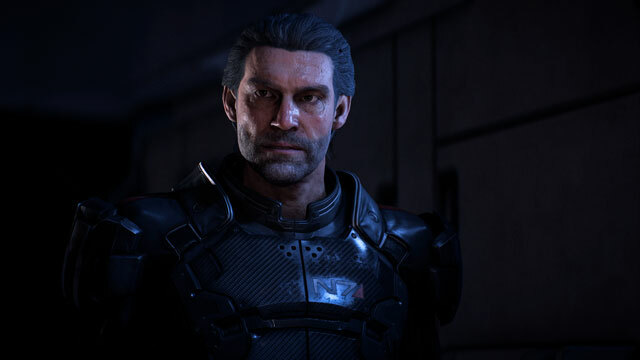 It all seems so rushed, and while Ryder does eventually come into his own as a worthy successor to the Mass Effect throne after Shepard — even at this early stage — the character’s sudden rise won’t be remembered. Andromeda manages to save itself from complete disaster in this case, however. This is a game and story that is mostly about exploration and discovery, not so much about investigation and conflict. Conflict does exist, of course, and the pathfinder’s mission is to find viable habitats, and to establish colonies. Sometimes that involves conflict. The primary instigator and antagonist seems cookie cutter, but I can certainly see how Bioware has a lot more to tell in this regard. There are so many mysteries, so many questions left unanswered, many of which can be answered should the player take the time to explore the world to its fullest. With a story built and established around exploration, it goes without saying that the universe (or, erm, galaxy) is at its brightest when you’re looking directly at it. Look away and rush through, and it won’t show you all of its beauties. Exploration and mission structure offers natural open-world freedom, with the flexibility to explore, mine, take out enemy outposts, and come across random encounters. This is balanced alongside a primary and side-quest mission structure that can grow and evolve at an intimidating pace. It’s easy to stay focused on the main prize along the main mission line, but as is the case with every Mass Effect, you have to find your way through as many side quests as possible. That means you will need to battle some at-times poor mission design, trivial fetch quests, and other seemingly pointless tasks, just as a matter of finding a new key piece of information. It’s tough to really hold Bioware to account here, because this is a universe that I feel finds a nice balance between epic main missions, important side quests, and trivial tasks. The important thing is that everything you do does have an influence on the world around you, such as improving the viability of a particular planet for colonisation. You’ll achieve 100% viability by completing a number of main tasks, namely rebooting mysterious alien monoliths by first playing a weird Sudoku-like mini-game, and then infiltrating an alien vault to activate its terraforming capabilities. The story establishes the reasoning for this rather well, as these planets were initially considered “golden worlds” before the Andromeda Initiative arrived, only for the arrival to be dampened by the sudden realisation that something has made the planet incapable with colonisation. I found myself bouncing back and forth between planets, because often I would become engulfed by a particular character’s motives, but the primary objective — outside of investigating the main antagonist’s goals — is to improve the prospect of colonisation in Andromeda. 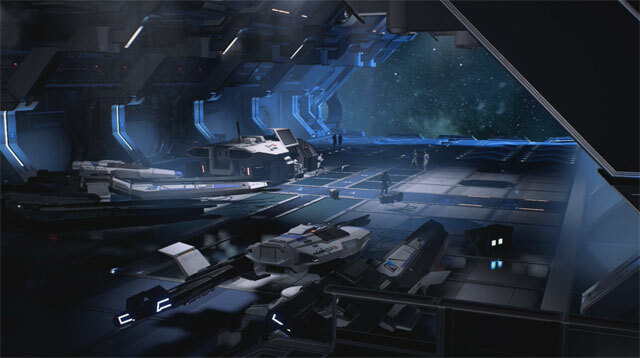 It never felt trivial or worthless to me, and I suspect it will work and apply to the universe in much the same way as Galactic Readiness did in the original trilogy: the more planets and colonies you have established, the more successful the Andromeda Initiative. 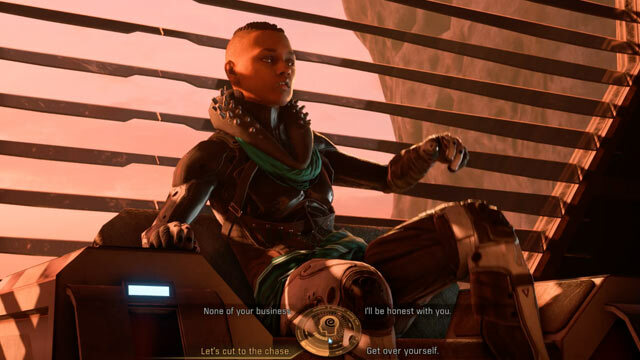 Sometimes digging a little deeper, looking beyond the most obvious, involves talking to NPCs, sometimes characters you would never have thought would have a particular motive, piece of information, or whatever for your Ryder. That’s stock-standard Mass Effect and Bioware fare. However, I do feel as though the new approach to dialogue will be hit and miss for Mass Effect fans. Bioware has done away with the somewhat restrictive and simplistic Renegade and Paragon dialogue options. With those, you could choose with a hostile/aggressive response or a peaceful/rational response, respectively. Andromeda offers multiple different tonal options: Emotional, Logical, Professional, and Casual. Each can have multiple options, or appear as a combination. It’s fairly clear what type of relationship you’ve established with characters based on their responses, although it’s not quite as clear-cut and simple as it previously was. For example, characters that I’ve been a little more emotional with have been more likely to open up with me about personal issues (without necessarily becoming intimidate with me), while others that I’ve been a little more robotic and direct with rarely speak with me about stuff outside of missions and general issues plaguing the Initiative. I’m glad that Bioware hasn’t gone the Bethesda Fallout 4 route by completely narrowing and simplifying the responses of NPCs. Understanding and reading characters is still easy enough, but the trick isn’t so much trying to get a specific response as it is trying to establish a specific relationship. With certain members of the crew, however, I have established emotional relationships that rarely go beyond being close colleagues. I could expand it into something romantic, but Andromeda doesn’t make that as emotionally shallow as was the case in the original trilogy. I like that you can be emotional with someone, and simply be close and professional. 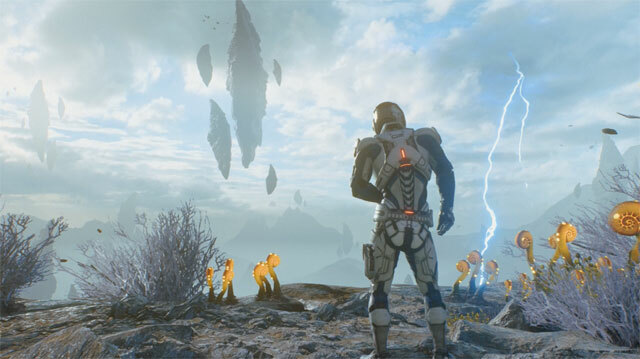 There’s a lot more to Andromeda, and this is a game that really tries to establish itself as a trailblazer across multiple genres. That can sometimes make for a game that seems too ambitious for its own good, but for those most part it works well. Combat, for example, is easily the best it’s been in the franchise. 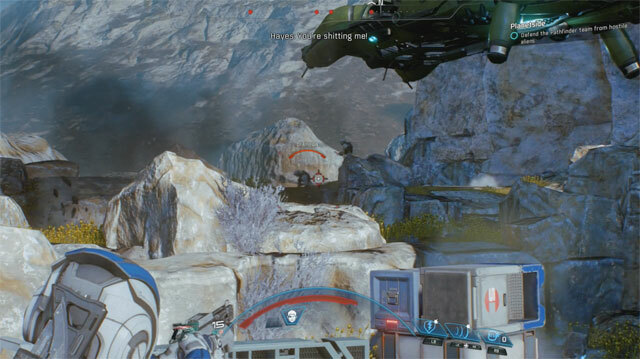 Bioware has mentioned how tough it was to introduce the jumping mechanic to Andromeda. It’s a very important addition to the game’s combat as it allows you to quickly manoeuvre in and out of heated situations. Guns and powers also feel fantastic. The Mass Effect series has evolved from RPG to action-RPG and Andromeda is the peak in that regard. It really is a lot of fun to guide and direct squadmates during battle, and to use a great combination of jumping, shooting and powers on hostiles. My only issue with combat is that auto-cover isn’t great. It’s difficult to differentiate between which objects can be used as cover and which can’t, and sometimes Ryder locks into the wrong stance regardless of the height of the object. If he’s too close to a tall object but you want him to cover next to a short object and crouch down, he’ll probably just cover and remain standing, which in some situations can leave you incredibly vulnerable. The difficulty of the combat and enemies has been increased tenfold, but I’ve died countless times because the cover hasn’t protected me when it should have. It needs to be fixed. That’s far from a dealbreaker, though, because the sheer amount of depth and customisation options on offer is rather astounding. The design and structure of it is a bit of a mixed bag — and I’ll speak about that shortly — but importantly, there’s little to fault in terms of content and value. 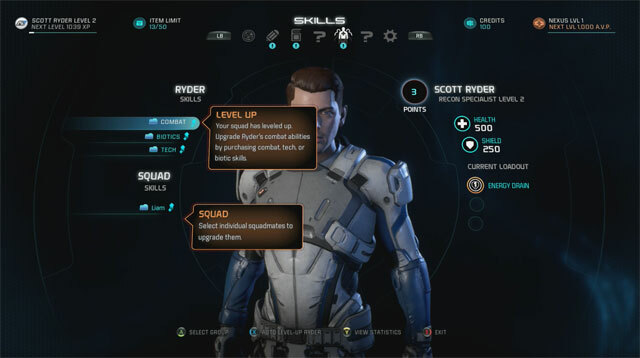 Levelling up your Ryder and squadmates is quick and easy, with points distributed across Combat, Biotics and Tech. Depending on how you use these points will determine which profile is best suited to your Ryder. If you focus on Biotics, for example, then profiles that offer Biotic benefits are likely to give your Ryder a boost in combat. You can change profiles on-the-fly, which I think is a fascinating design choice. I haven’t changed much throughout my playthrough — maybe 5 or 6 times — but I’ve found a single profile now in Adept that suits my play style and skills. I’m focusing on that now, which I feel is what most players will do. Profiles are really just class boosters, which are unlocked in stages depending on how you spend your skill points. 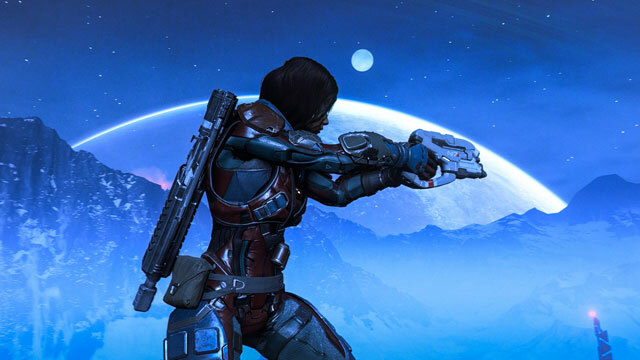 Andromeda’s customisation efforts spread out across weapon, armor and augmentation crafting, along with a research and development system, which allows you to further improve your loadout and character standing while exploring. It’s a solid system when it works, but you’re going to be constantly battling a terrible UI. Andromeda throws so much at you, so quickly, and it seriously seems as though Bioware has just bundled it all together and left it to the player to form some sort of coherent message out of it all. Crafting, levelling up, profiles, loadouts, mission summaries. Just about everything about the structure and layout of the UI is a battle. Granted, you’ll eventually find your way around things, but I doubt you’ll ever get over some of the UI’s more stupendously complicated layouts. It starts with the character creation module, which is structured and designed so poorly that it’s a challenge to really know and understand how you edit your character’s appearance to begin with. I gave up and just went with the default. At this stage it’s probably worth talking about the elephant in the room: character models. Much has been said of the quality of the models and how much has changed from when the game was first revealed. 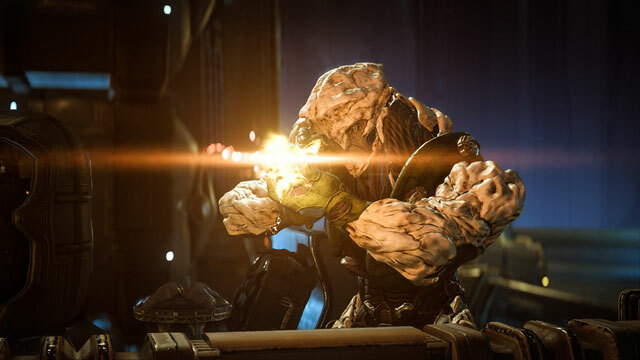 It’s certainly evident in the game’s opening few hours, which appears plagued by a number of bugs and glitches that Bioware needs to iron out sooner rather than later. Strangely, it all seems to get better as you progress. Character models and animations still suffer from occasional uncanny valley symptoms, and there are plenty of funny moments, but I never personally encountered something that was game breaking. Popin can be quite bad, and the framerate can drop while the game loads previously unexplored areas. But this is all complimented by an astoundingly deep and detailed core experience, and I do genuinely believe that once you get past those opening hours, these issues will seem trivial in the broader context of things. Therein lies the challenge, however: those opening few hours. I can see how the trial has alienated the fanbase, but I can’t say enough how much better the game gets once you come to appreciate the fundamentals. There are a lot of great characters, some really cool story moments, and some important improvements to dialogue options and combat. That said, and perhaps most disappointingly for me, is that Andromeda doesn’t quite have its Illusive Man moment. That might come in sequels, but this is a game that is trying extremely hard to form its own identity with a story that doesn’t really innovate or surprise. 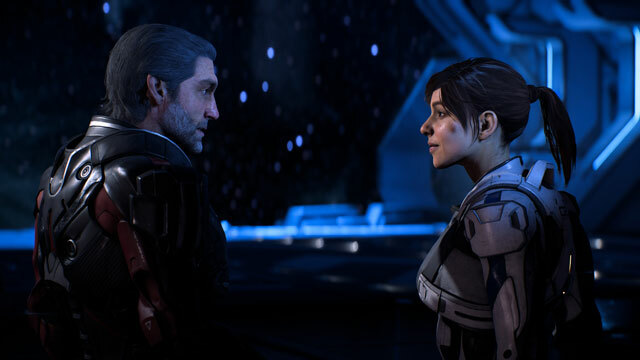 It has its moments, sure, and I’m confident that Andromeda is the start of something bigger and better, hopefully leading into something as big and defining as Mass Effect 2 was for the original trilogy. NOTE: This review will be updated with final multiplayer impressions in the days after launch. As it stands, the multiplayer component is difficult to really dive into outside of a basic summary, as connections have been inconsistent. 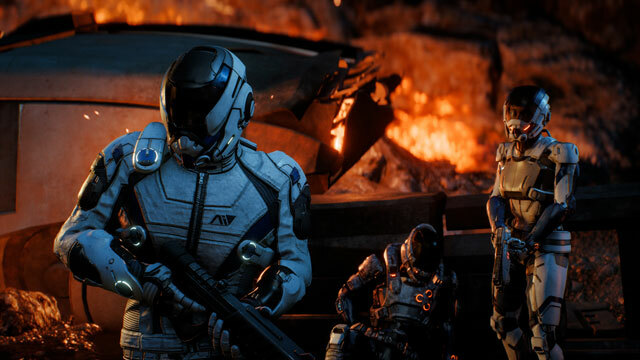 Mass Effect: Andromeda is battling an aggressive campaign that aims to delegitimise its quality and worth as an entry in a famed sci-fi series. Initially, that campaign seems justified. Yet Andromeda manages to bounce back from a grinding opening few hours. 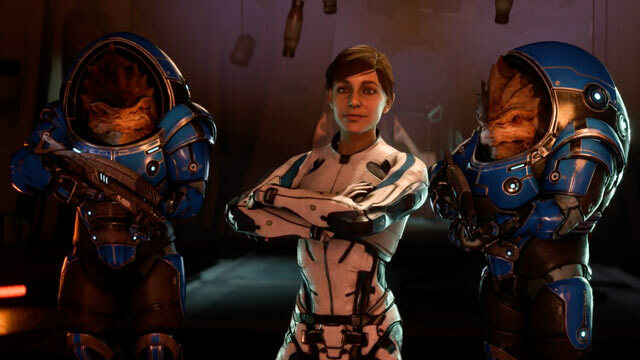 Mass Effect diehards will either love or hate important changes across the board, but regardless, there’s no doubting just how much bigger Andromeda is. It’s an important first step for a franchise looking to enter into a new generation. It might get off on the wrong foot, but some crafty navigation quickly gets it back on track.